Apples are delicious. Kids love to eat them and parents love that kids love to eat them. What better way to celebrate apple season than with this great little craft that is perfect for your 2-3year old. You will need: Safety scissors, Paper Plate, Glue stick and tissue paper or construction paper. Directions: Either pre-cut, have kids cut or tear peices of tissue or paper. 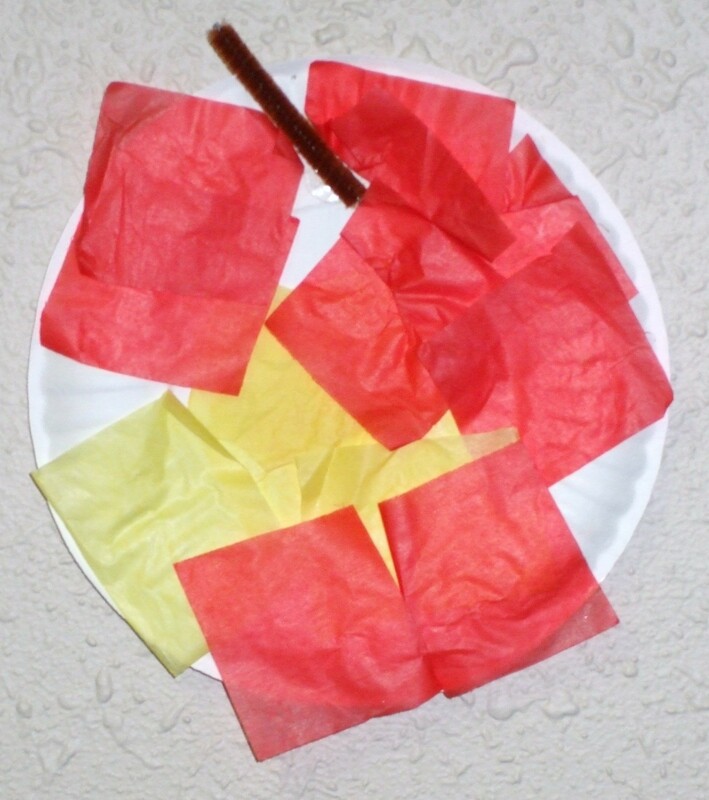 Glue to small paper plate. Don’t forget to let your child do some of the cutting or tearing as these are important skills for your child to master before school age.